For those of you who follow our monthly Kate Spade mood boards, you might remember that last September it was all about the polka dot. 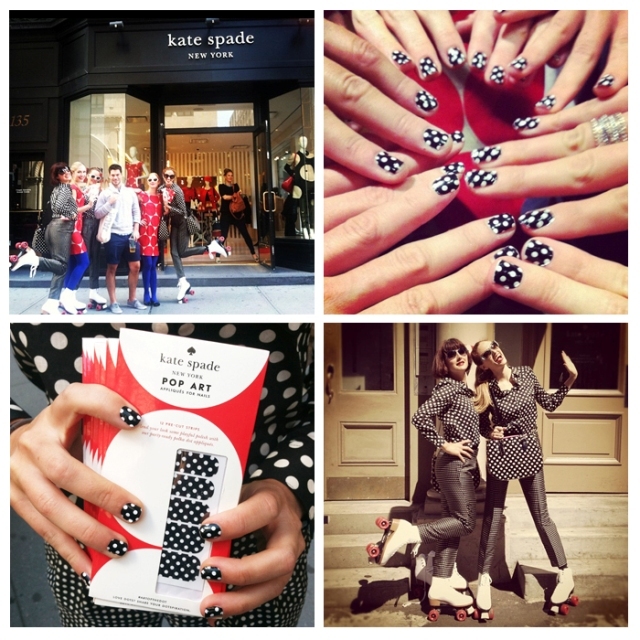 Kate Spade further expanded this polka affair with a "style spy" campaign; calling for fans to share their polka dot sightings and creating an editorial shoot out of it. All the photos make for wonderful bride ideas! But lest you think that this can only be used for prenups or for bridal showers, it would even be more awesome if there was an actual wedding that looked like this. After all, nothing screams "classic w/ a twist" than dot dot dots! Live colorfully & have rebellious bride ideas!